My gosh, I don’t even know where to begin with these lustrous beauties! After the long anticipating wait for their arrival down under, I was left with a note from the postie informing me I had to go pick them up. This was a Friday afternoon, around 3.45pm, and the post office shut at 5.00…until Monday! My patience was running dry, so I walked the whole 3.5km to the post office, yes that was quite an achievement for a non-sporty kinda gal, but I’m so glad I did, and lo-and-behold I was beyond impressed! Saturday night I finally got a chance to whip these babies out and give them a whirl. I’m not one to usually jump on the band wagon for the latest beauty and makeup products that are all the blogging rage for the minute, but there was just something special, magical, captivating if you will, that I just had to test them out for myself. That first swipe of foundation with the 102 Silk Finish brush blew me away. Clean and precise, the brush blended the foundation deep into my skin, leaving it with a beautiful velvety finish. As for concealer and hiding those nasty little spots, the 142 Concealer Buffer brush does wonders. Another favourite of mine is the 227 Luxe Soft Definer and 231 Petite Crease brushes, which are perfect for eyeshadow application. The 227 is a perfect dupe for MAC’s 217 brush, and is best for applying eyeshadow all over the lid. And the 231 is amazing for blending product into the crease. 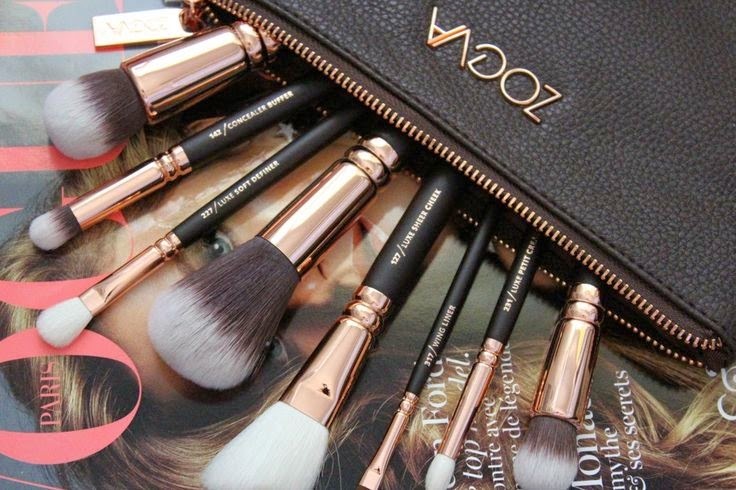 A definite surprise to the amazing quality of these brushes, and the touch of rose gold just makes it all the more divine. Overall, beautifully crafted and work exquisitely with makeup. I never thought anything could replace my beloved Real Techniques brushes, but these have utterly dazzled and impressed me!